Autism can manifest in vastly different ways in each person. And according to a new, small study in Molecular Autism, researchers also found gender differences with regards to behavior among boys and girls with autism — although both boys and girls with autism still faced similar social and communication obstacles. Male subjects in the study were found to exhibit more of the associated repetitive behaviors of autism, such as rocking or stimming (or repetition of sounds, movements, or moving of objects), than girls and to exhibit more severe versions of them. The study also found that the brains of girls and boys with autism differ as well (a difference that they did not find to exist between the brains of girls and boys without autism). The study indicates that, more expansive research pending, boys and girls with autism may benefit from a gender-based treatment approach. Girls are diagnosed with autism less frequently than boys; the study suggests that the absence of some of these repetitive and restrictive behaviors (or at least less severe versions of them) may be a reason why. Autism can manifest in vastly different ways in each person. And according to a new, small study in Molecular Autism, researchers also found gender differences with regards to behavior among boys and girls with autism -- although both boys and girls with autism still faced similar social and communication obstacles. Male subjects in the study were found to exhibit more of the associated repetitive behaviors of autism, such as rocking or stimming (or repetition of sounds, movements, or moving of objects), than girls and to exhibit more severe versions of them. The study also found that the brains of girls and boys with autism differ as well (a difference that they did not find to exist between the brains of girls and boys without autism). 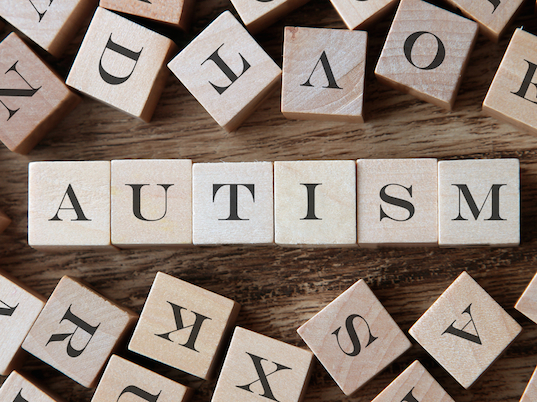 The study indicates that, more expansive research pending, boys and girls with autism may benefit from a gender-based treatment approach. Girls are diagnosed with autism less frequently than boys; the study suggests that the absence of some of these repetitive and restrictive behaviors (or at least less severe versions of them) may be a reason why.